If you’ve done everything right up to now to raise fat cattle, be sure what you do when you’re handling and transporting them doesn’t undo all your hard work. This article comes to us from South Dakota State University’s iGrow, an online teaching platform the helps SDSU extension staff share information with farmers and ranchers. “This is the way we’ve always done it.” I need more than my fingers and toes to count how many times I’ve heard producers tell me this phrase. However, transportation and handling are not the times to maintain this mentality, especially when weather adds additional stress to the animals. Sources of stress (handling and transport) are additive in cattle. Cattlemen can have a positive impact on the amount of stress cattle experience by planning ahead, choosing the best time for required tasks, and allowing adequate time to get things done. Implementing low-stress handling techniques from the Beef Quality Assurance (BQA) program can minimize stress on both cattle and people, improve handling efficiency, and subsequently be beneficial to limit potential losses. Handling alone equals SHRINK! Shrink is a direct indicator of the stress cattle experience. No one wants to see pounds disappear from their cattle after handling or moving them, because pounds are money. Shrink is directly impacted by the amount of time an animal is handled. 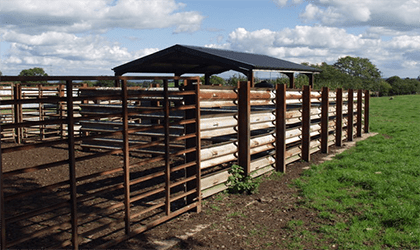 Simply moving cattle from pasture to corrals or sorting from pen to pen for 30 minutes can decrease weight by 0.5-1%. This shrink percentage can quickly increase if people push cattle too fast or use aggressive handling techniques (yelling, over-pressuring flight zones, or excessive electric prod use). Taking time to handle cattle calmly, regardless of the task, minimizes the potential shrink loss and creates a safer working environment for both cattle and handlers. It is important to first plan enough time to accomplish a task, and also be aware of the weather forecast to avoid adding unnecessary stress during hot weather. Heat stress can increase shrink loss and challenge the animal’s immune system. Transport time is known to have a direct impact on cattle shrink. A simple estimate of transport shrink is a loss of 1% of body weight per hour transported for the first 4 hours on the road; then approximately 0.25% per hour for the next 8-10 hours of travel. These estimates are during good weather. If you consider the impacts of temperature seen in Figure 1, the shrink percentage can quickly jump to 3-5% just for a short haul (~5 hours) during hot summer temperatures (30°C = 86°F) on fat cattle. Calf shrink is estimated at an additional 2.6% above fat cattle percentages on the figure (so 5-8% shrink on a 5-hr haul at 86°F). A feeder should think critically about how he is going to welcome calves at the feedyard to help them recover from this shrink, especially during hot weather. Ensure there is plenty of fresh hay and cool, clean water. Adding temporary stock tanks in pens will allow more animals a chance to drink at the same time to facilitate adequate rehydration as quickly as possible. Allowing calves to rest and start eating again before processing can assist with vaccine response because their cortisol levels have returned to normal so the immune system can focus on providing the calf immunity. This rest period may be a few hours or more than 24 hours depending on the transport stress. Let the calves tell you when they are ready to be processed. Also note that as summer fades into fall, temperature fluctuations from morning till night throughout the haul, not just the daily high temperature, can have a dramatic impact on the shrink loss experienced by cattle. Table 1 shows a simple example of calculating the shrink loss for various factors on a 600-lb calf transported approximately 400 miles; this example was summarized by the Ontario Ministry of Agriculture, Food, and Rural Affairs. Second 4 hr trucking 1.0 6. This example would be comparable for cattlemen shipping calves from western to eastern South Dakota, with perhaps some variation in travel time. With the dry conditions out west there is talk about early weaning calves, so providing a period of preconditioning before shipping them 400 miles can be beneficial on minimizing shrink loss and positively impacting their immune system prior to relocation. 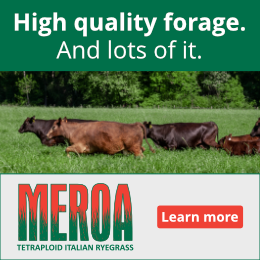 Meat quality should also be considered when handling and transporting cattle, especially fat cattle. Dark, firm and dry (DFD) beef, or “dark cutters”, results when the animal’s glycogen reserves are depleted in the muscle before slaughter, which increases post-mortem muscle pH from a decreased production of lactic acid. Producers should be aware that dark cutters are an animal welfare consideration and can be used as an indicator of pre-slaughter handling stress, not just a monetary discount to your paycheck. In a Canadian study investigating multiple transport factors that can lead to DFD beef, the gait of cattle (walk, trot, or run) at unloading was found to impact the odds of producing dark cutters. Cattle that ran off the truck were 1.46-1.49 times more likely to produce dark cutters than cattle that trotted or walked off the truck. Every person that handles cattle before slaughter has a direct impact on the meat quality or potential discounts, so ensure clear expectations of proper low-stress handling methods have been communicated to personnel sorting and loading, but also the truckers that haul and unload them. 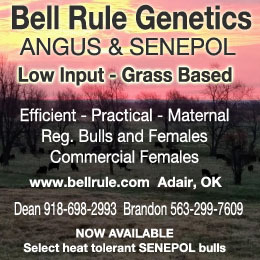 Read additional tips on moving/trailing cattle during summertime at Keep it cool: Avoid heat stress and reminders of handling and transport stress on the breeding herd at Managing stress to reduce early embryonic loss in beef cattle. Gonzalez, L., K. Schwartzkopf-Genswein, M. Bryan, R. Silasi, and F. Brown. 2012. 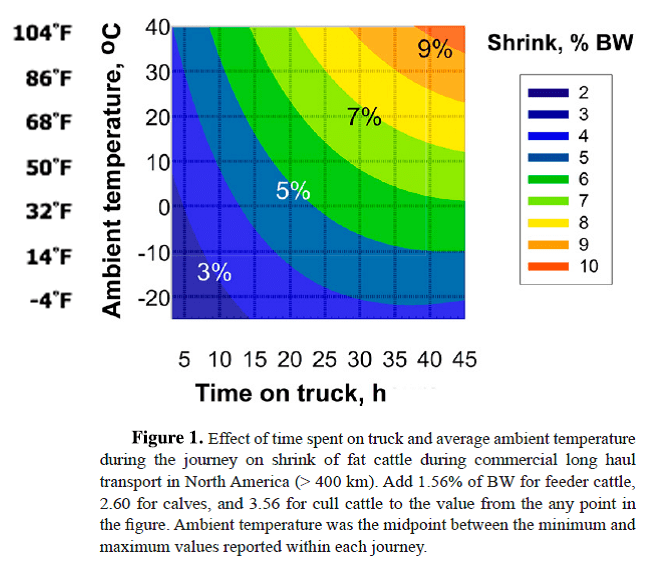 Factors affecting body weight loss during commercial long haul transport of cattle in North America. J. Anim. Sci. 90:3630-3639. Warren, L., I. Mandell, and K. Bateman. 2010. Road transport conditions of slaughter cattle: Effects on the prevalence of dark, firm and dry beef. Can. J. Anim. Sci. 90:471-482. After working in various aspects of the livestock industries across South Dakota and even Beijing, China, Heidi has promoted responsible animal care and safe food products. With a Masters Degree in animal science with an emphasis in ruminant nutrition, she handles a wide variety of topics concerning animal well-being. 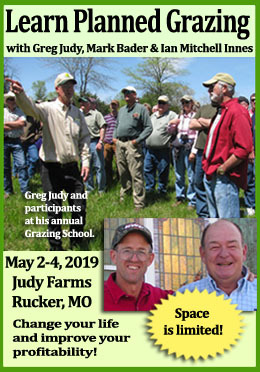 You can view her latest tips and advice at iGrow Livestock.